B"h I merited to break through much bilbulim and hochmot and want to do the most important thing and go to Rabeinu RH in Uman despite the enormous meniyot b"n! We have to be simple and not rely on our intellect even though logic would say it's over and don't go or go to Saba etc., but be simple and rely on Rabi Natan's understanding and the kibutz should continue by Rabeinu zal after his histalkut and this is tikun haemunah and we get from the otzar matnat chinam from the Ish Pashut by being pashut and just coming for RH! 1. Tenting. I've seen people pitch tents by the Tziun and have heard of tent cities with large tents and beds already set up there, that busses between them and the Tziun. Please explain how this works and how to do this. 2. Odessa? Is it possible to travel via Odessa or another city? I'd like to avoid Kiev-Borispol airport if possible. Thank you and Na Nach! I know that tickets to the Ohalim can be purchased (I think like $200) from the main Breslov Yeshiva in Yerushalayim off of Meah Shearim. However, based on personal experience last year, if you want to avoid getting sick and dealing with the public facilities, it is far more worth it to spend whatever more money to stay at a private home or hotel, without being exposed to thousands of people the whole time, and having a private bathroom so that even if Chas V'Shalom if being sick, you won't have to deal with waiting on bathrooms being cleaned, or being smelly, or filthy, etc. Of course, the sooner you plan your trip, the easier it will be to find a private place. As far at airports are concerned, most travel to Odessa or Kiev, depending on the airline. I know that from Israel, Turkish Airlines seem to be the cheapest. Hi I am a baal tshuvah from NYC who is really into the Na Nach thing. 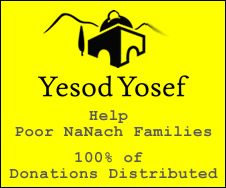 I just booked a flight to Uman for Rosh Hashanah, but I have no place to stay, no meals, no idea of what I am doing. Is there anyone out there who wants to take me under their wing and help me find my way? I am feeling a little lost!